In the first half of 2016, the world heard about the development of neural networks — the algorithms showed Google (a network player in AlphaGo), Microsoft (a row of services for images identification), startups of MSQRD, Prisma and others. 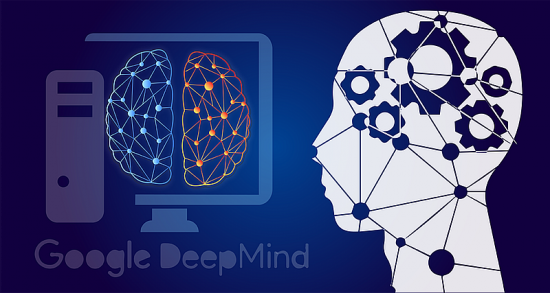 Neural networks are one of the directions in the development of artificial intelligence systems. The idea is to simulate as closely as possible the work of the human nervous system — namely, to its learning capability and correction of errors. This is the main feature of any neural network, it is capable of self-study and acts on the basis of previous experience, each time making fewer mistakes. Neural network simulates not only work but also the structure of the human nervous system. Such network consists of a large number of separate computing elements (“neurons”). In most cases, each “neuron” belongs to a certain layer of a network. Input data sequentially pass processing on all network layers. Networks are known parameters of each “neuron” and an operating procedure of all system which can change depending on the results obtained from the previous sets of data input. All tasks which can solve neural networks are anyway connected to training. Among the main scopes of neural networks, there is a forecasting, decision-making, image identification, optimization, data analysis. Why have neural networks become so popular right now? Scientists are engaged in the development of artificial neural networks more than for 70 years. The first attempt to formalize a neural network is referred to 1943 when two American scientists (Warren McCulloch and Walter Pitts) presented an article about the logical calculation of human ideas and nervous activity. Labor-consuming and long part of the process of neural network development is its training. In order that the neural network could correctly solve the problem, it is required “to use” millions of data set inputs. People associate distribution of neural networks with the advent of different technologies of the accelerated training. In the last several months on the market appeared several loud entertaining projects using neural networks. This is the popular MSQRD video service which was redeemed by a Facebook social network, and the Russian foto application Prisma, Mlvch application, and others. Such entertaining services are created rather not for the solution of global tasks, at which the neural network aimed, and for the demonstration of neural network abilities and carrying out their training. Games are the characteristic of our behavior as species. On the one hand, in the game situations it is possible to simulate practically all typical scenarios of human behavior, and with on the other hand — both of game’s creators and, especially, players can derive the pleasure from the process. There is an especially utilitarian aspect. The well-designed game brings not only satisfaction its players: in the game course they train neural network algorithm. The majority of the neural networks at the market does not much differ from each other. Technology all about the same. But an application of neurons is a pleasure which not everyone is able to afford. To develop the function of self-studying by a neural network and to have an opportunity to carry out a lot of experiments, you need large learning set and fleet with expensive graphics cards. Among the main players in the market there are Google and its division Google DeepMind which created the AlphaGo network, and Google Brain. In this area Microsoft has own development – it engaged by Microsoft Research Laboratory. Baidu (Baidu Institute of Deep Learning), IBM and Facebook (subdividing of Facebook AI Research) are engaged in neural networks creation. The set of development is conducted at technical universities around the world.